Looking for something to do during the Summer? 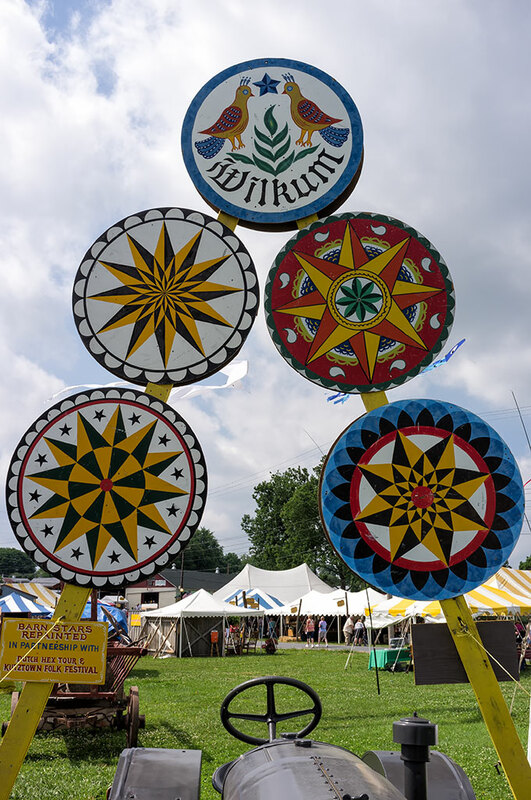 The Kutztown Folk Festival makes for a great road trip. The festival, which celebrates the Pennsylvania Dutch culture, usually starts the last weekend in June and runs through the first week of July. It is the longest running folk festival in the US at 64 years. Crafts, food, music, and entertainment can all be found on the Kutztown Fairgrounds during the festival. 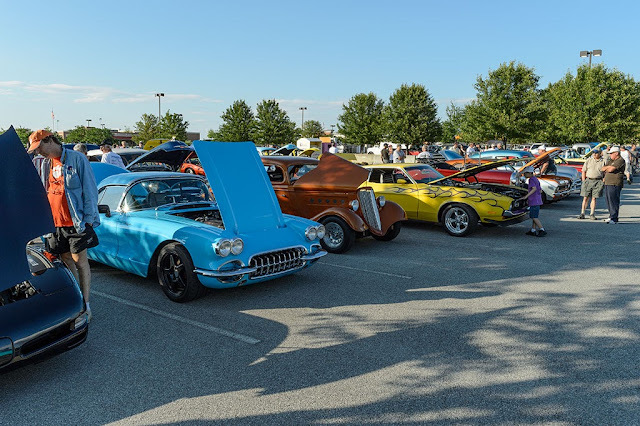 Where is the best place to have a car show? Well the fine folks of the City of Ranson, WV think that smack-dab in the middle of town is a good spot and I would have to agree with them. 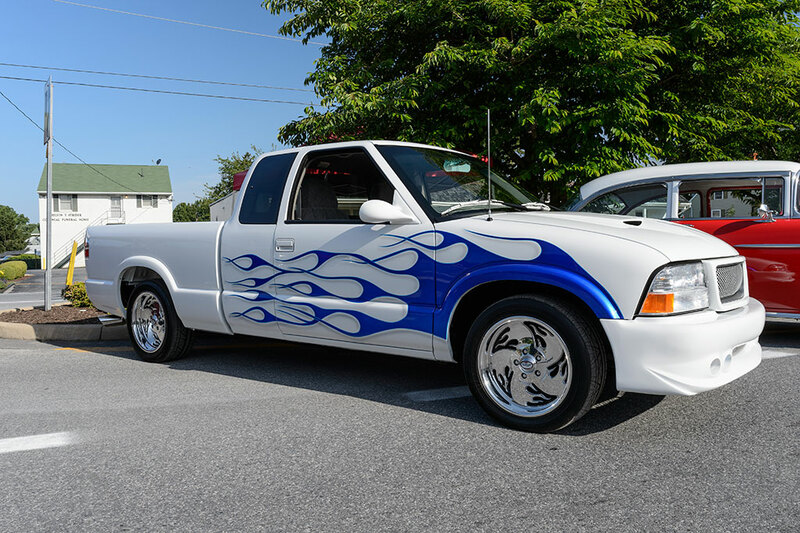 They closed of the main road through town for "The 3rd Annual Ranson Car, Truck, and Motorcycle Show" and lined it with more than 100 of the areas finest vehicles. Bubba's Garage was there and I actually brought out my 2001 GMC Sonoma mini-truck and stayed for the entire show. You never know what you might find at the Antique Automobile Club of America Museum in Hershey, PA. The vehicles on display are always changing so you get to see new things on almost every trip. Bubba's Garage was in the neighborhood recently so we decided to see what the museum had brought in for the summer. 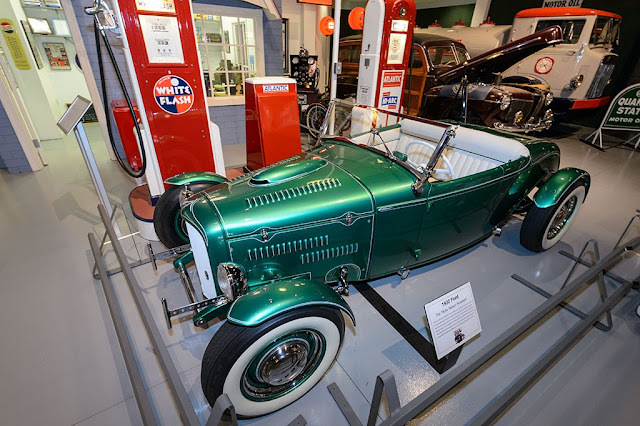 The first car that peaked our interest was a green 1932 Ford Roadster. 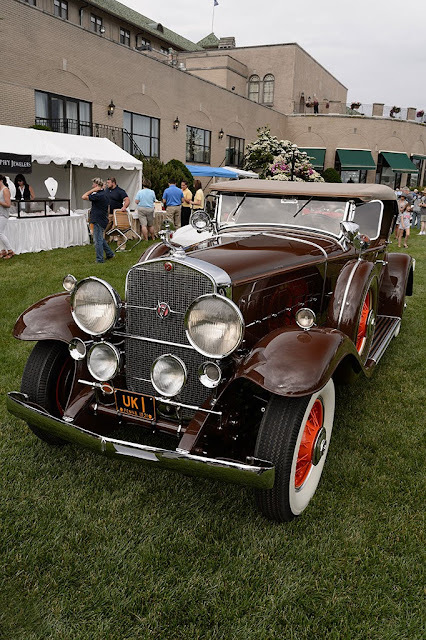 The "Ricky Nelson Roadster" was seen in the '50s "The Adventures of Ozzie and Harriet" TV show. If the weather is nice on a Friday evening you can bet that the lot will be full for the Friday Night Cruise-In in Ranson, WV. The Ranson Home Depot, where the cruise-in is located, is just up the road a bit from Charles Town, WV on Rt. 9. The hosting club, Country Roads Car Club, does an okay job of playing oldies tunes and keeping the peace. The lot is good sized and there are several restaurants near-by to quiet your growling belly. Do you get excited to see vintage military aircraft take to the skies? Then you definitely need to make time to check out the Mid-Atlantic Air Museum's Annual WWII Weekend. 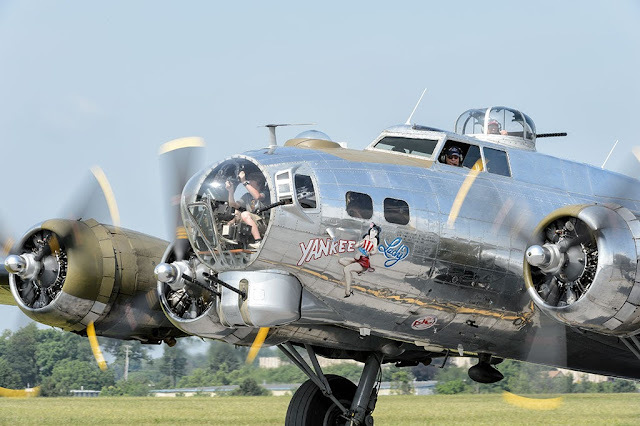 This fantastic WWII reenactment/air show is held each year in early June at the Reading Regional Airport - Spatz Field. You could attend all three days and still miss something!